We know that buying a quality new home or building a new home is much harder today than it has ever been. Buying or building may not be right for you. However, a home remodel or home make-over can provide lasting benefits to the home you’re currently in. Whether your project involves making simple home improvements, updating or renovating kitchens or bathrooms, or adding a new room to the home, Burns Home Improvements can provide you with quality, cost effective and innovative construction services. With over 20 years of experience as a remodeling contractor and an “A” rating with the Better Business Bureau, we make it possible for you to relax and enjoy the process of transforming your property. When it comes to home remodeling projects, your kitchen will typically have the highest return on investment of any project on the property. Homeowners are renewing their interest in cooking and entertaining and they demand a beautiful, fully equipped and functional space. Whether you want to simply tear out the old cabinets and appliances and give your kitchen a facelift, or tear down a wall and expand it to fit everything you’ve always wanted, we can help. For a room that sees so much traffic, it doesn’t make sense to have a small, outdated bathroom. Homeowners often find that they need more storage and room to get ready every morning, but they don’t believe they have the space to do it. With expert home remodeling, we can design and build a creative new layout with clever storage solutions to give your family the room it needs. Your old windows are probably costing you money every day. The older your windows are, the greater the chance they are leaking your conditioned and/or warm air. If they are single pane, they probably are very inefficient and do not prevent UV rays from seeping into your furniture and flooring, causing both to fade. When you invest in new windows, the beautiful new look will increase your property value. It will also save you money on your utility bill every month. Contact us today to get a free estimate on new windows for your home. To some, an unfinished basement is a home remodeling project they’ve been dreading for years. To us, a basement is a blank slate waiting to be transformed into a masterful work of art. Basements are spaces and an opportunity to fulfill a need your family has. We can evaluate the area you have and design a living space that is as unique as your family. There is no project too large. We’ve tackled home gyms, home theaters, in-law suites, man caves, recreation centers and more. If you have a walk-out basement, we can even create a separate living space with a private entrance to be used as a rental space or in-law suite. 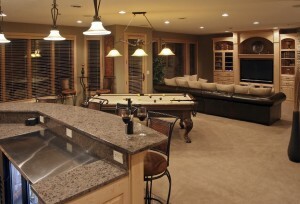 When you choose basement finishing, you choose to make a lasting investment in your house. 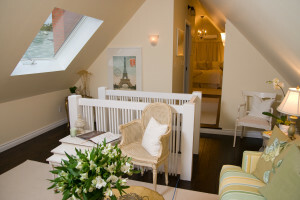 Attics are often the forgotten square footage on every property. When homeowners are in need of extra space, they may not realize that an attic is as easily remodeled as any other room. We can install insulation and finish the space to make it a comfortable room for living, hobbies or extra storage. At Burns Home Improvements, we take pride in being able to help our clients on any home remodeling project from start to finish. We are a one-stop shop that is equipped to handle every aspect of the job from designing to building. To get started on your home remodeling project, contact us today. We will provide you with a free estimate and help you to see the possibilities within your own home. 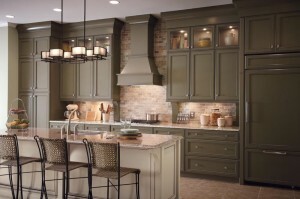 We perform home remodeling in Boston, Medfield, Quincy, Westwood, and all surrounding areas. When you begin planning any major home project, you should consider hiring a remodeling contractor with years of experience and an established presence in your community. Burns Home Improvements has been in the business of complete home remodeling in Boston, Medfield, Quincy and Westwood areas for over 20 years. Our excellent work, professionalism and reputation for having a customer-oriented focus has significantly contributed to our success. Our staff is highly trained and certified to tackle nearly any aspect of the remodeling process. With an architect on staff, we are able to walk you through the design process. This means that you won’t have to explain what you want to an architectural company for the designs and then start over with your chosen remodeling contractor. We take the time to discover your home remodeling needs as a team and collaborate to come up with a design unique to you. And because we have worked on your project as a team since the beginning, when the home remodeling begins, we will already have a streamlined plan developed. By planning and organizing every part of your project before we begin, we can minimize issues that may arise and stop the work. Because not every problem can be foreseen or prevented, working with just one remodeling contractor can make the process of finding a solution go much more quickly and lessen delays. Contact Burns Home Improvements today for more info!